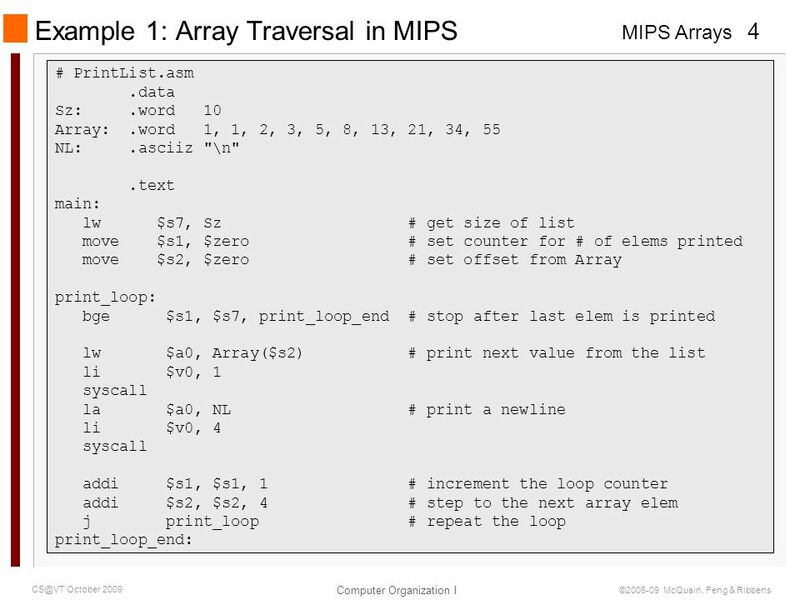 Arrays First step is to reserve sufficient space for the array. 1 Arrays First step is to reserve sufficient space for the array. 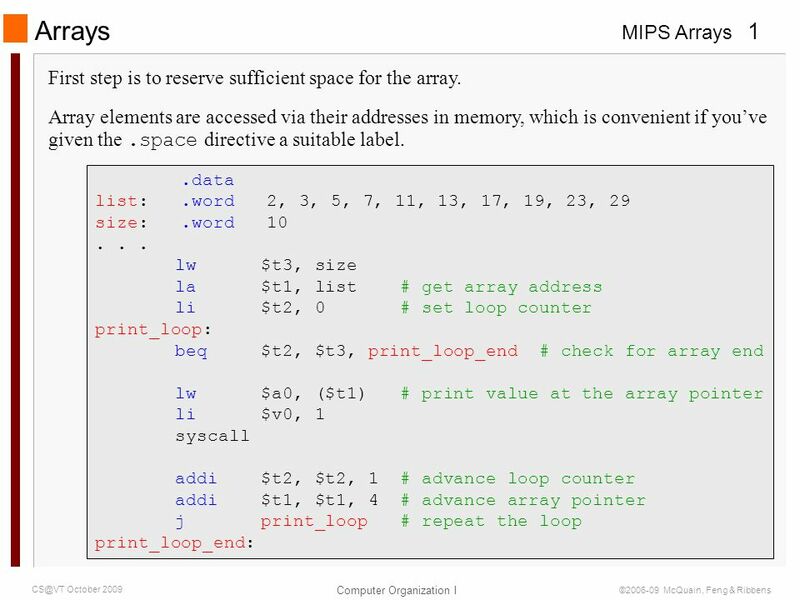 Download ppt "Arrays First step is to reserve sufficient space for the array." 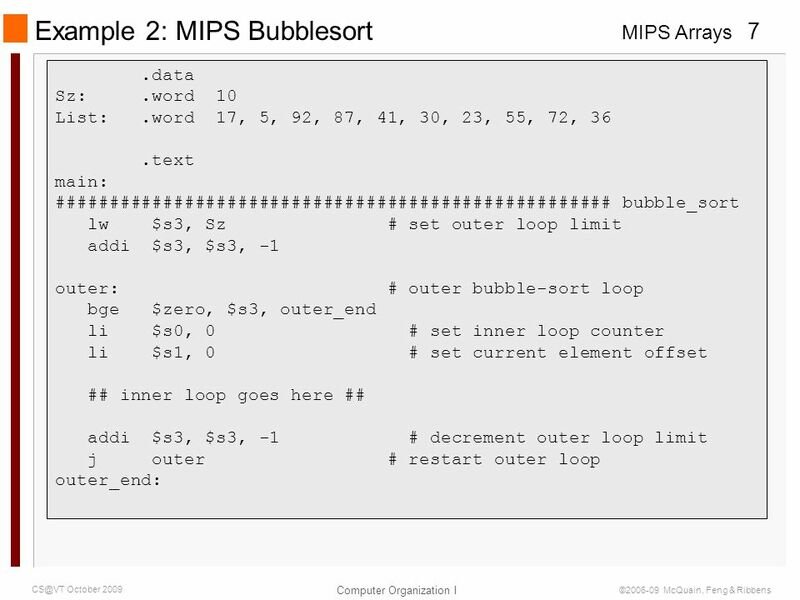 Bubble Sort Algorithm 1.Initialize the size of the list to be sorted to be the actual size of the list. 2.Loop through the list until no element needs. Lecture 20: 11/12/2002CS170 Fall CS170 Computer Organization and Architecture I Ayman Abdel-Hamid Department of Computer Science Old Dominion University. 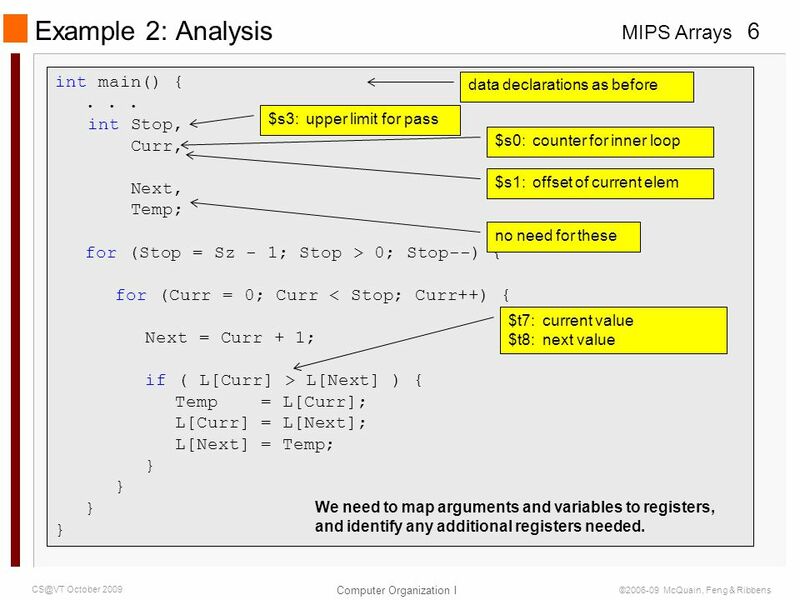 Recursion in MIPS Computer Organization I 1 August 2009 © McQuain, Feng & Ribbens Leaf and Non-Leaf Procedures A leaf procedure is one that. 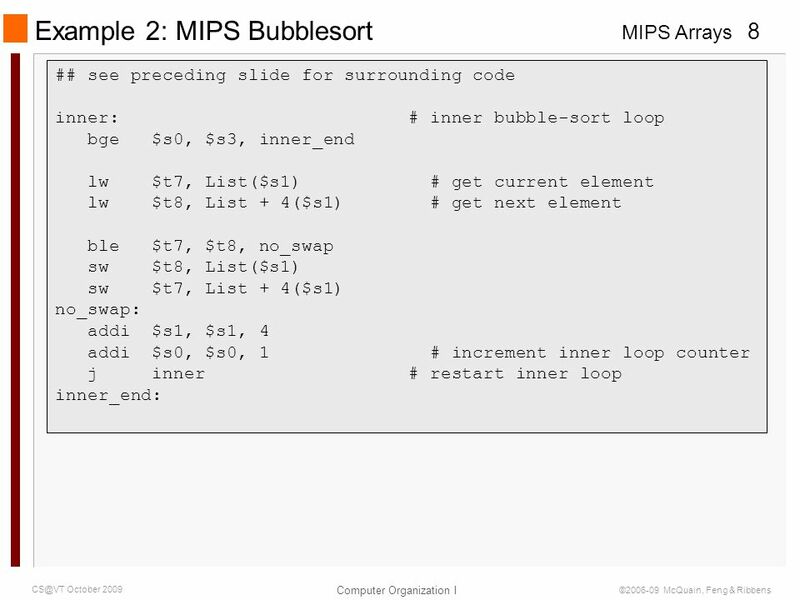 Assembly Code Example Selection Sort. SPRING 2015 QtSpim Demo & Tutorial. 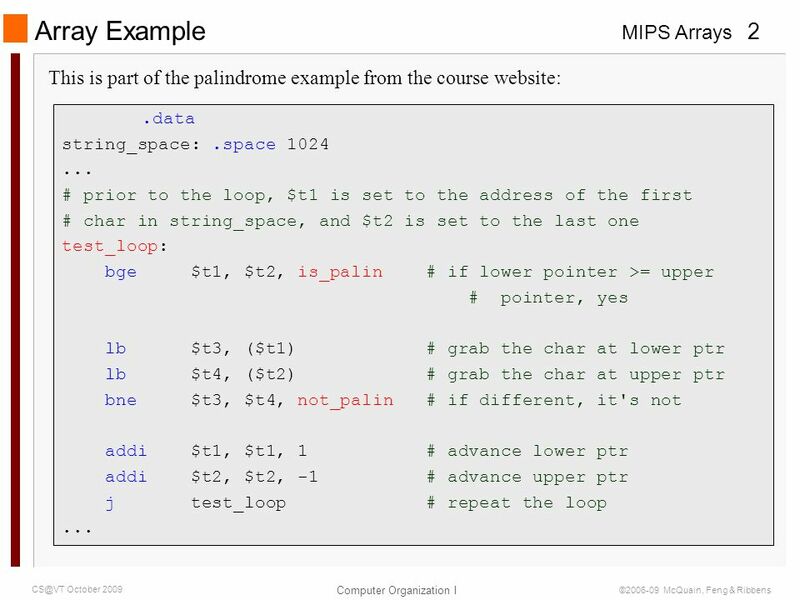 2 By DGP Outline How to write your own MIPS assembly language program How to use QtSpim simulator.